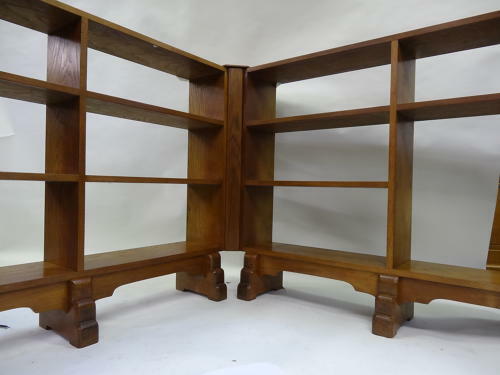 They can easily be separated and used as two independent bookshelves alongside the same or different walls. The whole of the connecting corner section just unscrews (some still showing in images). Overall as a corner unit: 58.5" wide by 58.5" projection. Height 37", 11" depth at base, 8.5" depth of actual shelves.